Girls that Scuba is just one years old (2017). 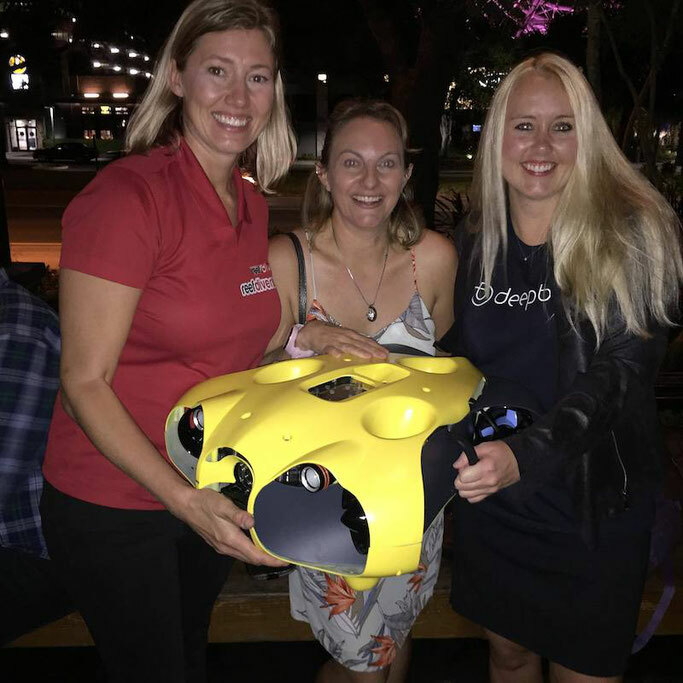 We are new to the industry - yet have managed to make a big impact with our encouragement in female diving - so we were honoured to be invited to attend DEMA this year. But what the hell is DEMA? What are we suppose to do there? What are YOU suppose to do there? We send head moderator Amber to find out everything we need to know about the largest trade-only scuba dive event in the world. What is DEMA all about? 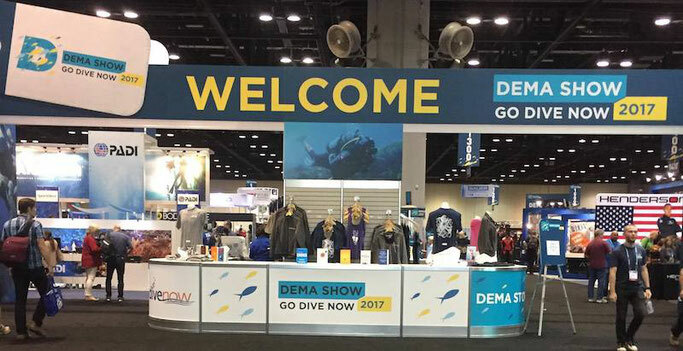 DEMA stands for Dive Equipment & Marketing Association and is an industry trade only show. It's actually the largest Scuba diving trade-only show in the world. DEMA's office is based in the lovely city of San Diego, California with some of the most breath taking sea cliffs! So, you could imagine these individuals definitely know how to put on a very impressive scuba diving professional conference! As soon as you walk in you have an amazing layout of many exhibitors booths filled with the best of the best in the industry. Everyone is so excited to meet and network with fellow professional industry enthusiasts. But DEMA is not just about networking. It has a full line up of seminars full of enriching state of the art cutting edge knowledge and curriculum from the very best professionals in the industry. This is also a time where people are honoured for their amazing contributions to the scuba diving community. How do I get into DEMA? Entry its split into three main categories attendee, exhibitor and media. Remember, this is an industry trade only show and they take it very seriously. Easiest way to follow the path to attending DEMA is to visit their website. While on the DEMA site under credentials you will find 7 main credentials that will allow you to register to attend DEMA. This all has to be done in advanced. Once you submit it to DEMA the registration personal will need to approve your credentials so you are able to obtain your badge at the beginning of the conference! Keep checking online to see when registration is open for 2018! Insider note from the pro's: many fantastic people told me that the best exhibitor booths go very quickly so grab them asap! People were saying during the 2017 show they were already reserving for 2018! Note: this year's DEMA was held in Orlando, Florida (USA) and next year it will be in Las Vegas, Nevada (USA). It rotates between Orlando and Las Vegas every year. Which Exhibitors should I go and see? And what do I say? First up, have a think; what are your goals are for DEMA? What do you want to accomplish from the show? Is it stocking the very best dive gear for your shop? Is it purchasing new equipment for your dive professionals at your center? Are you at DEMA to network? Do you want to know the cutting edge technology in scuba diving currently? Is it learning the latest from your certification agency? These are all questions you have to ask yourself. Make sure you have a very precise focus on what you want to get out of DEMA. Honestly, your first time is going to be fun but if you are really at DEMA for some serious reasons make sure your organized, prepared, and have hundreds or even a thousand business cards! Be prepared to swap business cards constantly! If you are there to network bring those business cards to the evening events! And the girly advice for attending make sure and wear comfortable shoes! My tennis shoes saved my life! Seriously, be prepared to walk a ton! So, what should I say at DEMA? First off if you really want to meet with someone specific email them in advanced and setup an appointment. DEMA can get pretty busy where many of the people need an advanced appointment to speak with. This is an industry only show. So, don't forget that and use your time wisely and be forward with the individuals who you are speaking with. Let them know right away what you are trying to accomplish with your interaction and why it's important to you to accomplish your goal! These are the professionals in the industry so get right down to business. But, they are pretty fun to chat with once business is done and spoken about if you both have the time. This was the part that was difficult for me being a first time attendee with a mission to be in the know about all the evening events! There are so many benefits and parties after the show ends at 6pm each night. I felt it was mainly by word of mouth on where to go each evening. I really only knew about a few before hand. Honestly, I met more people at the parties after 6pm. So, I highly recommend the evening events if your at DEMA to network. Some of the events required tickets in advanced or pay at the door. Some events were free, to ranging in price from $25-$100 a person. Some were themed and you got to dress up to the theme. Definitely, get in the known about the DEMA parties after 6pm. Some of the networking gatherings I found to be amazing were Woman's Hall of Fame Fundraiser, TDI, DAN, and Deeper Blue. I'm sure everyone had their favorites and I would have been able to attend them all but I loved all the ones I went to! Hopefully, next year we will explore many more of these networking social events after 6pm nightly. I will note: I would have loved to have attended the DEMA dinner Friday night but the price was $100 and was themed which I wasn't prepared for as a first year attendee. I think it would be super great if DEMA provided a huge list of all the networking events especially Fundraisers each evening with the cost and if there is a dress code or a theme two weeks before the show. Perhaps, include it on the app! Definitely, would like to see more useful information on the DEMA app next year! First up; hotel costs. I booked mine rather last minute from hotels.com with an average nightly stay over $100.00. I rented a car but regretted it. Stay near the DEMA show and just ride share Uber or Taxi it everywhere. My hotel had a free shuttle to the conference center at designated times as well. The conference center does charge for parking. Note: next year for Vegas most of the casinos charge for parking now. So, that's an additional cost if you have a vehicle. Both in Orlando and Las Vegas there are literally tons of food choices in both locations within walking distance or a short ride. Cost depends on each individual. Obviously, you have airfare. Costs of social networking events in the evening depending on which ones ranging from as stated above free to $25-$100 a person per event. Seems evenings were more dress up than casual unless it was a themed social event than obviously you will have the option to plan ahead and dress up for those events. 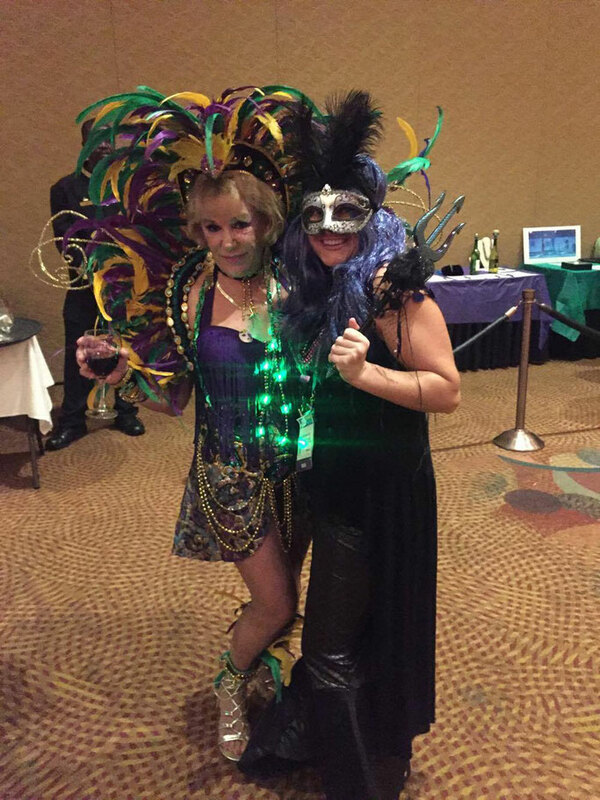 For instance I spent extra money for the costume for the Woman's Hall of Fame Mardi Gras Fundraiser. Well worth it! It was for a great cause and absolutely a blast! Would love to see a huge group of Girls that Scuba at next year's Woman's Hall of Fame Fundraiser! Overall, DEMA is worth the cost to attend! This is an exceptional experience filled with non stop things to see with many fascinating booths of exhibitors, events to attend, fundraisers for great causes, and amazing seminars and much more! 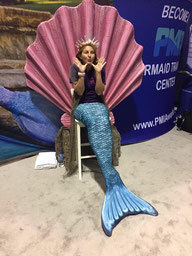 DEMA insider tips from a newbie! First off while your back home make a list of the booths you want to visit. Once you get to DEMA sit down with the map of the room with where all the booths are and organize your list by how the room is laid out. It's so massive that many people break it into sections and work their way through each section one by one. Know exactly what you want to get out of DEMA! Make a list of all the speakers you want to attend with dates and times. Set goals for how long you will speak to each person or booth and stick to it. Wear comfortable shoes and be prepared to walk a ton. Also, your voice may wear out so drink lots of water and I ended up using throat drops. Have tons of business cards. Be organized. Have a good place to put the pamphlets and information you received. Having some type of briefcase, backpack or bag seems to be very useful! Take time to take notes between appointments. This will help you remember at the end of the show what is what and who is who after visiting with literally hundreds to thousands of people. Perhaps leave a few hours toward the end of the show to just enjoy the show! Go find the booths they personally interest you or a person at a booth you would like to revisit or speak to longer. Last but not least HAVE FUN! We all love scuba diving as much industry wise as we love it to our core! 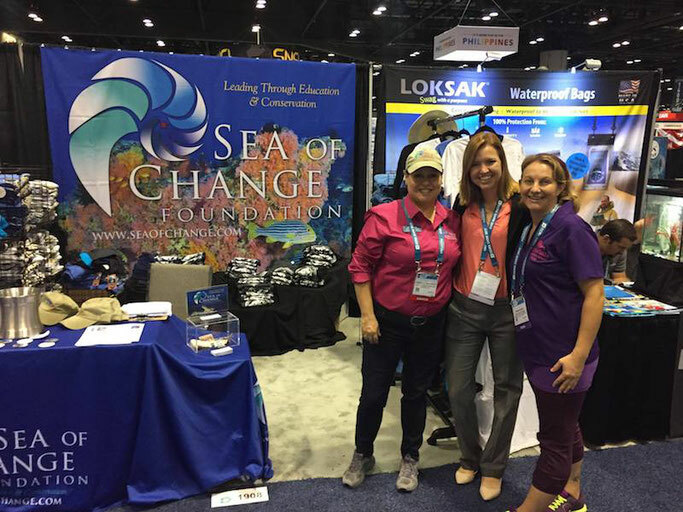 MASSIVE thanks to our admin director Amber who attended this years DEMA representing Girls that Scuba. GTS wouldn't be anything without you, Amber! If you want any more information on DEMA that you can't find on their website, join our group and you can ask Amber, and all the other GTS ladies that attended this year any question you want!